Click on the link to see this product on YouTube! These devices are reliable as an additional room lighting. They can be used for indoor lighting, furniture or buildings. An additional nice feature is the RGB version. You decide what color you want to have. When you change your mood, you can change the lighting. It all depends on your LED strip excellent example. To illuminate the kitchen furniture. 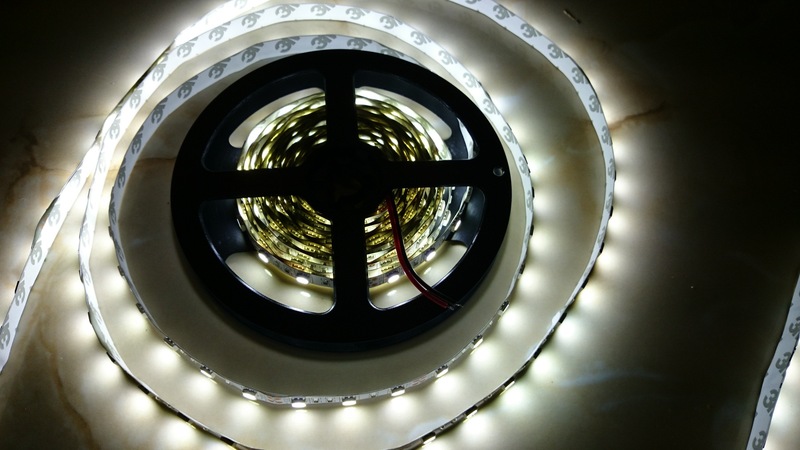 The device includes a flexible tape 5 meters 300 LED RGB SMD. We provide different colors of ribbons: blue, green, red, white, RGB. This model is not waterproof. What are LEDs 5050 SMD? - This type of diode comprising three chips embedded in the block of epoxy resin - the chips are the light source. These elements are more modern version of the LEDs 3528 and are from them about three times stronger.